Weekly fabfad is here again!!! From Collection 66, Tribal slit tunic, the little slit detail at the side, makes it easier for walking, sometimes maxis are just so restrictive! 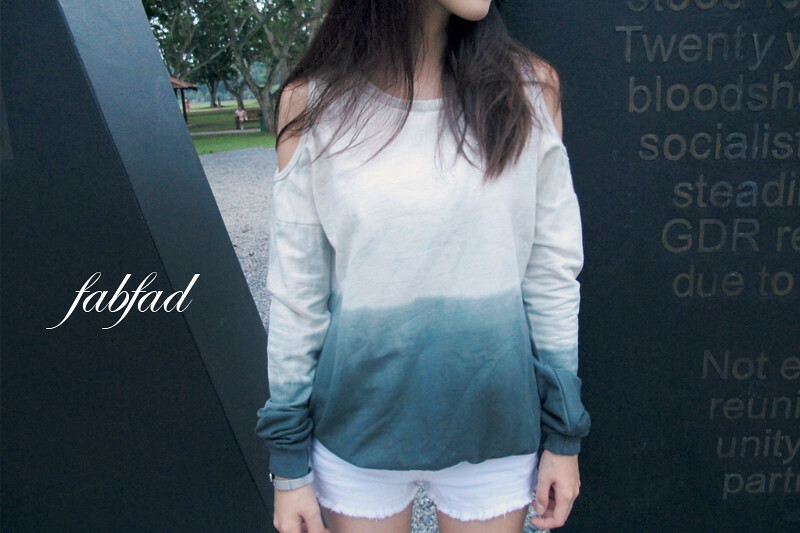 Dipdye cold shoulder pullover, keeps you warm at the same time some ventilation at your shoulders :D Many other apparels available! Check out promotions and previews weekly on their facebook page, stand chances to win an outfit just by liking and sharing their post!